This document is a step towards establishment of a minimum standard for crowdfunding/crowdinvesting platforms and would assure the transfer of know-how and serve as therecommendations for prospective platform operators as well. 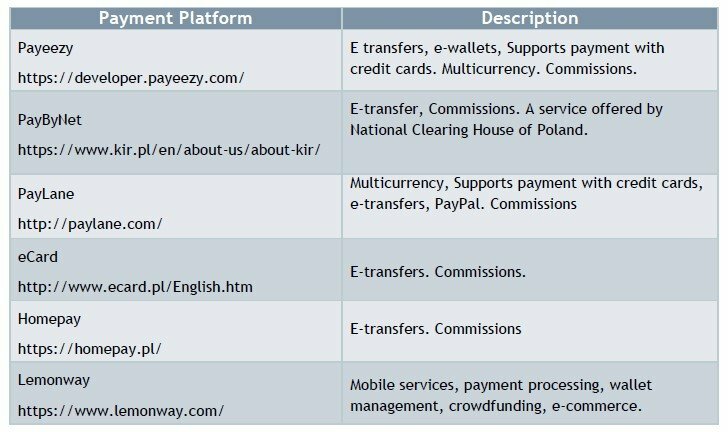 Differences between different crowdfinancing platforms. Which we dedive as following 1. Crowdfunding with non-financial returns (donations, rewards and pre-sales) and 2. 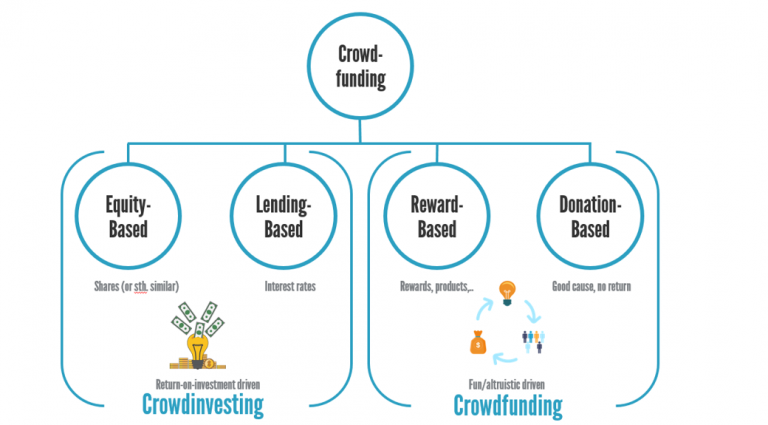 Crowdfunding with financial returns (equity-based and lending-based). In each type of Crowdfunding, a different name has been established for the persons from the crowd, who supports the projects with their financial contributions. This distinction is exemplary as the industry is in state of dynamic development. Payment Service Providers (PSP) are companies that have specialized in the technical connection and the transaction processing of payment solutions in the e-commerce area. They offer a kind of the “virtual cash register” for the Internet and integrate the desired payment systems into platforms via an interface (API – application programming interface that connects systems). Data protection and terms of Personal data means any information relating to an identified or identifiable individual. An identifiable person is one who can be identified, directly or indirectly, in particular by reference to an identification number (e.g. social security number) or one or more factors specific to his physical, physiological, mental, economic, cultural or social identity (e.g. name and first name, date of birth, biometrics data, fingerprints, ID, credit card …). In recent years, crowdfunding has become a dynamically increasing alternative financing method worldwide. This is an initial set of recommendations and is not intended to be exhaustive. Users may find this document to be useful examples of what to be focused on. The previous content is intended to help readers who are not familiar with crowdfunding platforms to quickly get a sense of how it works. Which forms of Crowdfinancing exist? What are the points to be aware of before starting an own platform? Answer: Before starting an own platform be aware of good preparation and a loyal team: Legal information- without those it is still just a website not a platform. What is needed to start your own platform? Answer: Account Manager, Support Desk, Terms of Services (specific for your country) projects to start with ect.